ABOUT HER NAME IS ROSE: It’s a story about a mother, who is afraid she may receive a cancer diagnosis and whose husband has died two years earlier, searching for her daughter’s birth mother so that her daughter, Rose, won’t be alone in the world. It’s told through four narrative voices and set largely in the west of Ireland but also in NYC and Boston and London. 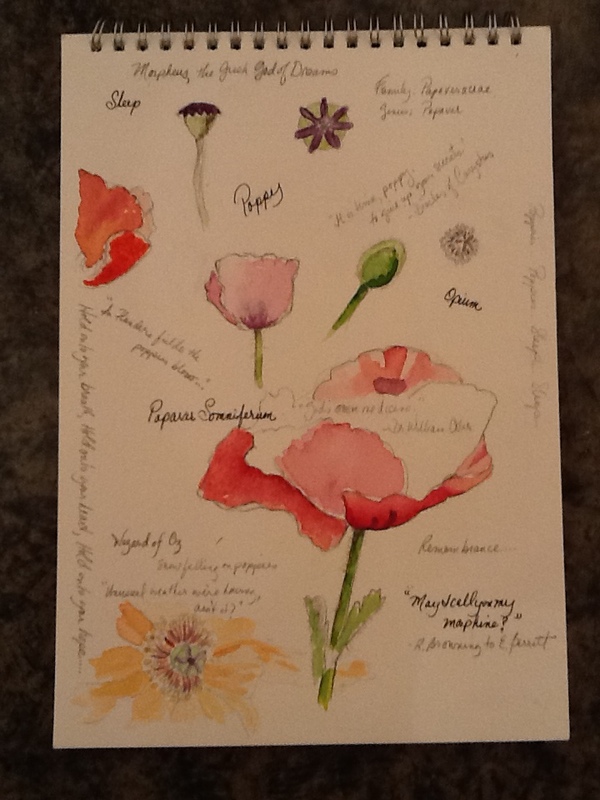 It’s about music and gardens and mothers and daughters and the men in their lives. 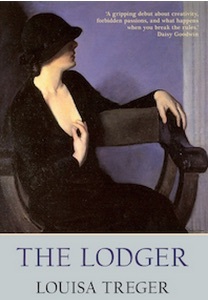 ABOUT THE LODGER: The first biographical novel about Dorothy Richardson, peer of Virginia Woolf, lover of H.G. Wells, and central figure in the emergence of modernist fiction. work in a dentist’s office and living in a seedy boarding house in Bloomsbury, when she is invited to spend the weekend with a childhood friend. Jane has recently married a writer who is hovering on the brink if fame. His name is H.G. Wells. Wells appears unexceptional at first. But then Dorothy notices his grey-blue eyes taking her in, openly signalling approval. Tormented about betraying Jane, yet unable to draw back, Dorothy free-falls into an affair with him. Then a new boarder arrives at the house – striking Veronica Leslie-Jones – and Dorothy finds herself caught between Veronica and Wells. Amidst the personal dramas and wreckage of a militant suffragette march, Dorothy finds her voice as a writer. LOUISA: I loved ‘Her Name is Rose’! Let’s start with something that really leapt out at me: how well you explore the complexities surrounding adoption. There’s a very moving passage in the book, where Iris concludes she isn’t a proper mother because she isn’t Rose’s ‘natural’ mother. In fact, she is a superb mother. How do you see the relationship between an adopted child and his or her mother? CHRISTINE: One of the novel’s central themes is the selfless love that parents — birth parents or adoptive parents — can have for children. There are two relationships with regard to ‘mother’ that an adopted person has, one may forever go unexplored but adoption is still part of their identity. At the time the novel takes place, Rose is only 19 and her experience of being adopted is not an issue for her. I was interested in writing about some of the other relationships within the adoption circle. It’s a story about “the search for a birth mother” from a different angle. Being an adoptive mother allows me a special insight and in the writing of that passage I was expressing some of my own feelings. In a way, I was discovering a deeper layer of what it means to me to be an adoptive mother. Your wonderful novel ‘The Lodger’ is about discovery, too, I think. Discovering what writing means to Dorothy because at first she doesn’t know she has a creative voice. She’s working in a dental office! One of the things that struck me the most about ‘The Lodger’ was how well you wrote about writing as creativity. And I wondered if you felt the same as your characters? LOUISA: Yes, there are parallels between how my characters feel about writing and how I feel. 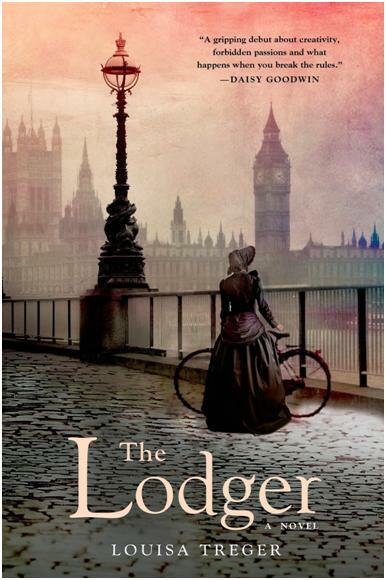 ‘The Lodger’ describes Dorothy’s journey to becoming a writer and, to some extent, working on the novel was my own journey to finding my voice as an author! Both Dorothy and Wells talk about the joy of having control over the worlds of their novels – Wells compares it to ‘playing God’. I too like having absolute command over what happens – being able to give the characters happy endings or not – in a way I can’t achieve in life! Finally, Dorothy’s desire to fix experience in words as vividly as it is lived particularly resonated with me. As she says in ‘The Lodger’: ‘How could she catch that moment; how make the words come alive on paper, exactly as they were lived, directly from the centre of consciousness?’ That’s what I am striving for all the time. CHRISTINE: How does it differ from what music means to as a creative person? LOUISA: Music lifts us into a different realm. It allows us to enter a place where our emotions can flow freely, in a way that transcends words. Yet although music and writing mean different things in my creative process, they are linked. Music expresses states of feeling that are non-verbal, but I often find that it inspires words. Listening to music can be a catalyst, helping me put emotions into words. 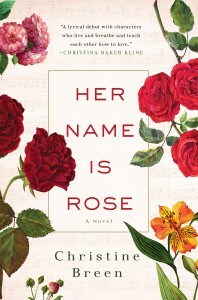 Actually, I was blown away by the way you write about music in ‘Her Name is Rose’ – yours are probably the best and most natural descriptions I have ever encountered. I was fascinated, and wondered how you researched music? What were the challenges of putting an essentially non-verbal medium of expression into words? CHRISTINE: Thank you! Coming from a classically-trained musician I’m ‘chuffed’. Music has been an integral part of my life. In the first non-fiction book Niall, my husband, and I wrote, we said we wanted to make a house of music and books. I think we’re achieving that. (Between us, we’ve written 14 books, and our two children play the cello, flute, viola, fiddle and guitar.) The house we live in has heard many tunes from Suzuki to Ceili. So it seemed natural when I began to write the story that my characters would be musicians. I did research about violin-making but the rest was from lived-life experience. There is always music playing in our house. 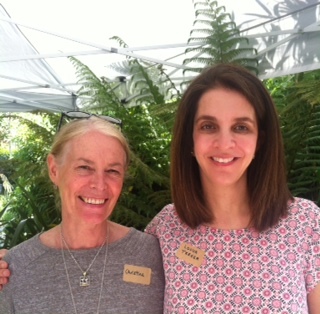 LOUISA: Speaking of different kinds of creativity, I loved your descriptions of the connections between love and creativity – it’s something both our books have in common. What drew you to this theme? my early enterprises was setting up a co op of artists where we sold our work. Life has many turns, like a river, and I stopped painting for a while in order to raise my children. Now, however, it’s time to return to writing my next novel. I feel a bit like Dorothy, your wonderful character, and I suppose I’m settling for being creative … “continuing to create whatever [my] tools might be….” whether they be gardening, painting, or writing. It seems that writing your thesis led you to writing a work of fiction. What did you discover about yourself in the writing of it? LOUISA: That writing fiction is what I want to do above all else. And I am fascinated by people’s emotional lives: I loved having the extra license fiction affords in order to do this. 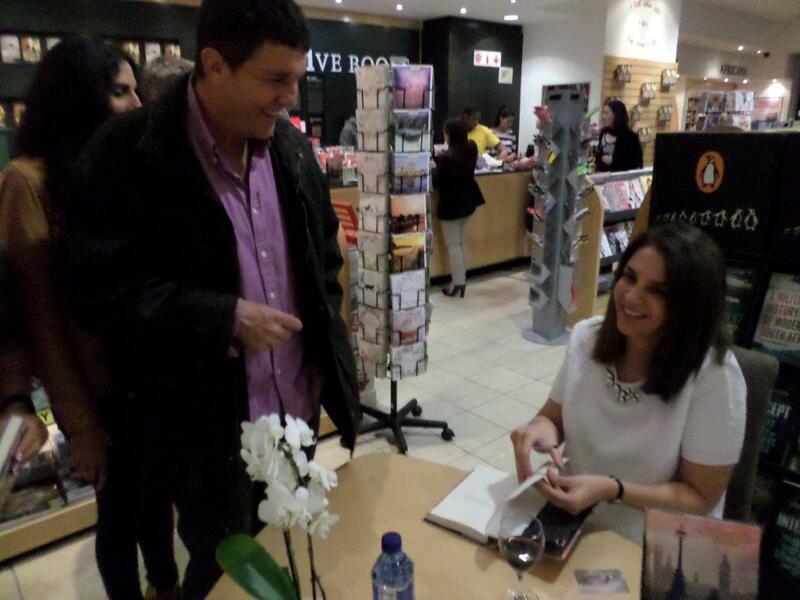 Also, I found out just how immersed I could become – the world of my novel often felt more real than my life! Sometimes, my characters talked in my head so loudly that I didn’t hear what my children were saying to me! For me, writing fiction was more exciting than discovering Dorothy, or writing a PhD thesis about her. And somehow, I muddled along, managing to mother my kids and finish ‘The Lodger’! LOUISA: The theme of sexuality unfolded afterwards. I was first drawn to Dorothy as a literary pioneer: she fearlessly smashed narrative conventions like plot, structure and narrator, and created a new, fluid way of writing that became known as ‘stream of consciousness’. I quickly became captivated by the story of her life, which was just as unusual and quietly revolutionary as her writing. 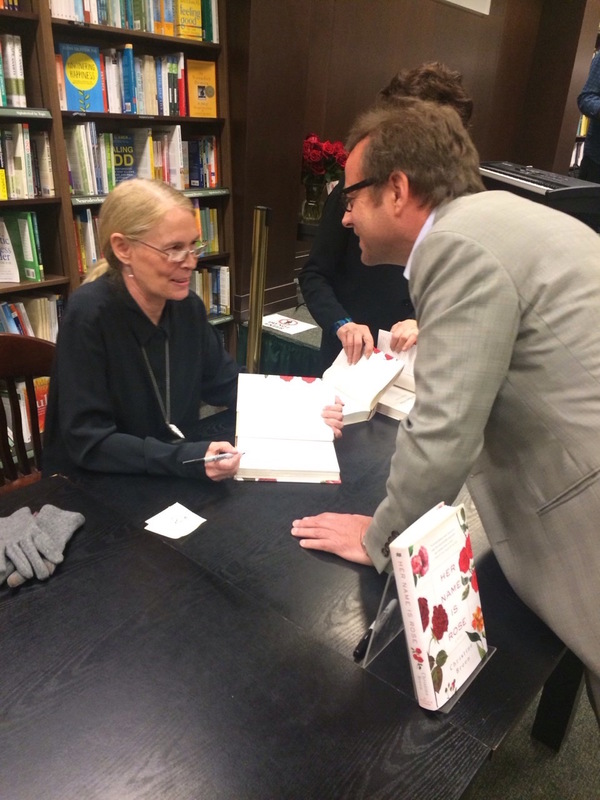 I decided to base my novel on the period of her affair with Wells because it was one of the most dramatic and interesting parts of her life – it was full of pivotal events that shaped everything that came after. The exploration of her bisexuality grew from this stage of her life too – so the theme of sexuality developed gradually. Talking of how books unfold, I was impressed by the way you tell the story from several points of view. How difficult were they to balance and combine? Did you write each separately, or switch between them as you went? stay with one narrator. And, it seemed natural, although I don’t know why, to write from four different ‘voices’. I wrote them not separately but as the story opened up. In the edits, I dropped some of Rowan’s chapters to balance the women, who are the central characters. And I switched Hector’s narration for first person to third. (He was trying to take over the novel!) Now that I have more confidence, my next novel will likely have just one narrator. LOUISA: Yes, I think I have always struggled to find the part of me that isn’t somebody’s daughter, wife, or mother – the part that is just me. First music, and then writing afforded me a space to do this in. Talking of being a wife, I am married to a businessman, and while he was helpful about marketing and publicity for ‘The Lodger’, I didn’t share the actual process of writing with him. You are married to the writer, Niall Williams. Tell me about the pros and cons of two writers living together! Do you read and comment on each other’s work?